When I hear people talk about virtual reality I sometimes cast my mind back to a Friday night in the winter of 1997 and a train trip from Vicenza to Milan. 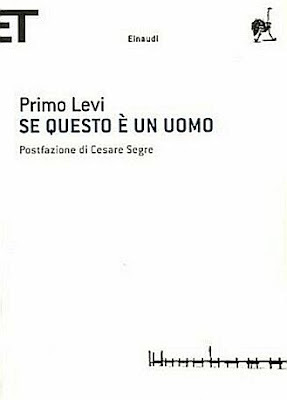 I was alone in the carriage, reading Primo Levi's If This Is a Man, and by the time we arrived at destination I must have been nearly in a trance because when I raised my eyes from the book it truly felt like I had been brought back from somewhere else. Not from Levi's prison camp, let me be clear - there is no representation that could approximate that experience, and it would be obscene of me to claim otherwise - but from a place other than that train carriage at that time, somewhere in between; a place of sadness and consternation, of suffocating moral pain. Nothing before or since, including my earlier readings of the book, has had quite the same effect, or has transported me as far. Levi died a likely self-inflicted death on April 11th, 1987. The biographical notes appended to the 1989 Einaudi edition of If This Is a Man abstain from making that determination, stating tersely that he 'died in his home in Turin'. The mere hypothesis of such an epitaph must have seemed so desperately far-fetched to him when he began scribbling the first passages of his account on clandestine bits of paper during his imprisonment at the satellite Auschwitz camp of Monowitz. No sooner did he write those notes that he had to destroy them, for their confiscation would have meant an accusation of espionage and certain death: 'I write what I would not dare tell anyone' (p. 146). And in those words written, then destroyed, but still committed to memory one can find the kernel of the moral imperative that helped sustain him: you must remember, bear witness and make others remember that which they have not experienced. I say that it was a form of sustenance but in the end, Levi is careful to tell us, his survival was due to a series of fortuitous events, the last of which was his falling ill with scarlet fever on the eve of the forced evacuation of Monowitz and the death march that killed so many of his remaining fellow prisoners. Earlier, he had been chosen due to his professional background to work in a kommando attached to a chemical laboratory of the Buna factory served by the Camp, and the relatively less brutal conditions were also instrumental in enabling him to survive during the final winter of the war. It is in the early days of this assignment that takes place the chapter in the book known as The Canto of Ulysses, in which Levi is chosen by Jean, the kommando's pikolo (the kapo's assistant), to accompany him to fetch the daily ration of soup. Carrying the pot was tiring but the task involved first of all an unencumbered walk to the kitchens that could be made to last up to an hour and thus constituted a rare and precious moment of rest. During the walk Jean, already fluent in German and French, expresses his desire to learn Italian some day, to which Primo responds - for there might not be another day - with a crash course based on a recitation from memory of the twenty-sixth canto of Dante's Inferno. But there is no more time for explanations or interpretations, no time except to hurry and get to that last line just in time to reach the soup queue and the ‘sordid, ragged crowd’ of carriers from the other kommandos, in perfect unison with Ulysses and his crew as they plunge under the waves one last time: ‘And over our heads the hollow seas closed up.’ Auschwitz has burst into the conversation, and demands to have the final word. It is heart-rending to speculate on the circumstances of Levi’s death, on whether that same sea closed up over his head four decades later, claiming him as another victim (as Ferdinando Camon and Elie Wiesel put it), another one of the drowned. His dear friend Natalia Ginzburg phrased it most pithily of all: 'L’ha ucciso il ricordo', it was remembering that killed him, perhaps the same duty to memory that helped to sustain him in his daily struggle at Monowitz. Others suggested at the time that it had been just the opposite, that it was the work of the deniers and the threat it posed to the fundamental integrity of that memory. I suspect Levi himself might counter that it doesn’t matter, in the end, that survival had never been a question of moral fibre, and that his own death wouldn’t count as a defeat. Surely having absolved the obligation to write - that ‘atrocious privilege’ - and the manner in which he did it, afforded him the right to make one final choice, as a free man, neither prisoner nor victim. Either way, of the pain that he carried very few of us can speak. But where does that leave our obligation, our duty to memory? Besides the many ways of unbecoming, besides the national amnesties and the sanitised corporate histories, besides the vile work of the deniers - that justly commands our condemnation - I worry about the small gestures, the minute revisions, the seemingly insignificant omissions which yet mean that our rememberance is being diluted, that we are gradually blurring its contours and washing out the atrocities, the complicities, the ambiguities. It can happen so subtly, just by losing an accent, leaving out a scene. Or a few lines of poetry. Except in the film the poem is truncated, leaving out that curse and blunting the sheer force of that challenge to us: remember this, or else your families will crumble and your society will cease to exist. 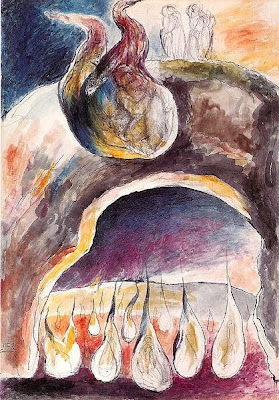 It is a singular indignity, for a man who had once staked his whole being on his capacity to get to the end of somebody else’s poetry, and would have given his lunch, his daily sustenance, in exchange for some of the missing lines he had forgotten. And all this for what? To end a film perhaps half a minute sooner, and on a less uncomfortable note. Primo Levi. If This Is a Man and The Truce, tr. by Stuart Woolf. London: Abacus, 1987. I never thought much about Levi's poetry, but last week I saw Marco Sonzogni give a presentation on translation and talk about one of his late ones, known in English as Dark Band. It was simply stunning. I never like simile, but that one works. OF; I have finally come to understand how to read poetry. OF; Yes you simply read and don't try to understand and the words simply melt into you. He is a brilliant mind and over 80.
vf; glycalcr - a new tonic I am pushing for better eye bones. Thanks Giovanni, very few literary (or artistic in a broader sense) works have touched me as deeply as "Se questo e' un uomo" and it's always nice to be reminded of it. I read it at first in high school, as part of given homeworks, and didn't think too much about it (aaah, being a teenager), but when I re-read it in my late twenties, it blew me away. Since I had kids, I often catch myself thinking of things I want them to experience, things that I feel is my duty to show them, as part of a sort of a cultural legacy that they should receive, no matter of what are they going to make of their young life, and this book is definitively at the top of the list. I cannot help wondering if Levi's tragic death is just his final warning, his final attempt to tell the rest of us how important is that we don’t forget what happened to him, because there’s no coming back from those horrors. I first encountered Levi in my middle year of intermediate school, in the Italian class. It was the only time during all my formal education that I was taught anything about World War II and Fascism - somehow we didn't quite manage to get there in the history programme at primary, intermediate or high school. We did however always cover the phoenicians very thoroughly, so that's something I guess. That said, the book did affect me very profoundly but then we did the necessary work around it, meeting with survivors and their families, being exposed to other memoirs and documents, to ideas on memory that I still find very relevant. It was a very good programme run by a good teacher. It also doesn't hurt that my school was named after the Jewish philosopher and anti-fascist Eugenio Colorni, an association that was actually recognised with a series of activities every year. "Yes you simply read and don't try to understand and the words simply melt into you." this is my failing. i always read words by trying to back them into a corner, demanding they deliver precise meaning. sometimes i despair that there is always so much more to learn. vf: exact - what you have to be, or goddamn blogger eats your first comment. I CANNOT treat words as anything other than loaded capsules of information/emotion. As to understanding them - why, my goodness, yes! and using it unpack the odour and or scent of the primary species-perpetuation mechanism of the phylum [insert phylum here]. vf folog - when you can't even get your false records right. Really? On the one hand, that surprises me, yet on the other, it does explain a bit about modern Italy. That it does. It's the dastardly habit we have of studying everything in chronological order, at the cost of not quite making it to the present day. So for instance in high school we spent one whole year on Greek and Roman history, and then in our final year didn't quite make it to World War I, or in literature we studied every single exponent of the Dolce Stil Novo and spent a year on Manzoni's The Betrothed, but read nothing by anybody who was still alive, or was even born in the twentieth century I suspect. But who needs to know who Pasolini is, right? Or indeed Primo Levi. Hooray for regained eyesight! And may I humbly suggest that The Periodic Table may be of your particular liking, if you haven't read it before? Ooo! On my 'to get' list *right now*! It is an extraordinary little book. Readers interested in the subject of last week's post may want to refer to the penultimate story, 'Vanadium', where Levi has a chance encounter with a German chemist he had first met at Monowitz and learns of the fate of Dr. Pannwitz. 'Zinc' is also relevant. sail further and further out. *Really* like that poem Harvestbird. Thank you.